Product categories of Gabion Mesh, we are specialized manufacturers from China, Gabion Mesh, Gabion Box Mesh suppliers/factory, wholesale high-quality products of Gabion Garden Mesh R & D and manufacturing, we have the perfect after-sales service and technical support. Look forward to your cooperation! Packaging: 1.shrink film+ label 2.water-proof paper+ shrink film+ label 3.water-proof paper+ shrink film+label, then incardboard carton 4.water-proof paper+ shrink film+label, then in pallet. 5.as customers' specific requirements. Gabion mesh including : heavy gabion/hexagonal mesh, Gabion Box, gabion mesh sack, welded gabion mesh, Prevention rockfall Mesh. 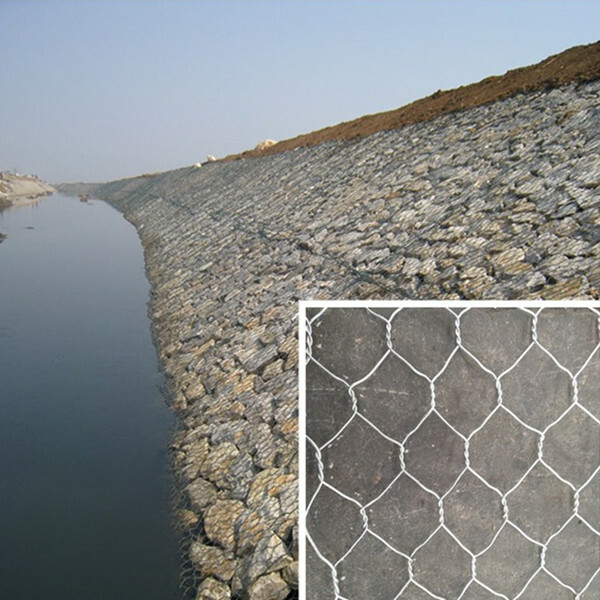 The material of gabion mesh is low carbon Steel Wire, and then will be hot-dipped galvanized, re-plated with Galfan or PVC, so as to improve the durability of the gabion mesh under all sorts of environments. It has the effect of controlling water capacity, prevent soil and water from flowing,the protecting and improvement of the ecological environment. Gabion can be employed in a variety of ways to stabilize soil conditions around bridges and river bank protection. Copyright © 2019 ANPING COUNTY SHANGCHEN WIREMESH PRODUCTS CO.,LTD All rights reserved.